Earlier this week I popped by State house primary,one of the beneficiaries of the Start a library project, to to catch up with class 8N Library lesson time. I was warmly received by the school Librarian who led me to the school library. During the library lesson, the pupils were given sometime to pick a story book and read quietly. After the 15 mins the teacher announced that reading time was over, and asked why they came into the library to read. A couple of students stood up and said it was for them to improve their composition writing, to improve grammar and for pleasure and enjoyment. She then asked one of the children why he always reads the newspapers instead of choosing one the storybooks, the boy stood up and said that, he only gets a chance to read the paper at school. One time he read news that Robert Mugabe was the new African union (A.U) president, coincidentally when they later had their exams, the question of who was the A.U president arose and he was delighted to have the right answer.This fueled his interest in reading newspapers and he always reads them in the library ever since. The Bell rang and it was time for them to dash to the next class, they quickly returned the books to its place on the shelves and moved out slowly as the student librarians remained behind for a few minutes to quickly arrange the books effectively . This is a wonderful initiative. Thank you Eric and StartaLibrary for your initiative to revolutionize reading culture in our schools. A Book in Every hand it is. Good work. 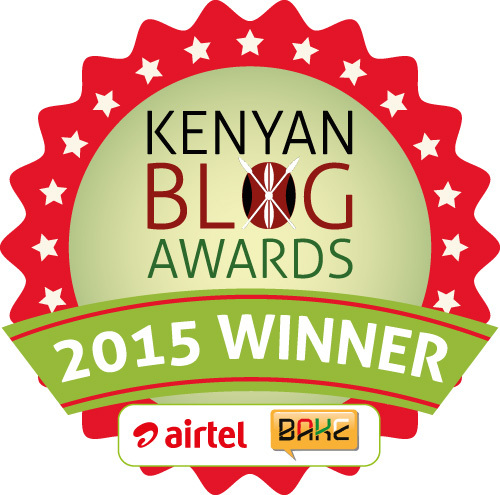 This entry was posted on February 25, 2016 by Storymoja Africa in Writer's Blog.